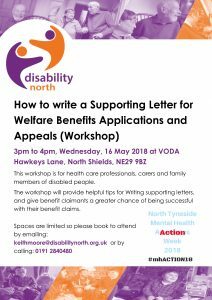 The workshop will provide helpful tips for Writing supporting letters, and give benefit claimants a greater chance of being successful with their benefit claims. Spaces are limited so please book to attend by emailing: keithmoore@disabilitynorth.org.uk or by calling: 0191 284 0480. Disability North received 2,934 benefits enquiries in the last 12 months from across the whole of the North East. In the last 12 months Disability North helped disabled people in the region access over £4.8 million in benefits. The above are some of the headline figures from our annual reporting of activity for 2017 / 2018 which highlight what Disability North has achieved in support of disabled people in the region during the last financial year. Disability North provides necessary, relevant and quality support to disabled people in the region. However, we can only maintain these important services with your ongoing support. “I’m delighted to be organising Disability North’s new ‘Digital Inclusio n Project’, having started as a new worker for Disability North on Monday 9th. The project’s remit concerns helping people with disabilities and older people access Internet and computer facilities. We have a new computer facility at our Dene Centre office (open for use during the usual working hours), which has a suite of Internet-connected PCs. Not only that, but the project will offer basic training and support to any disabled person who needs it to get on-line. 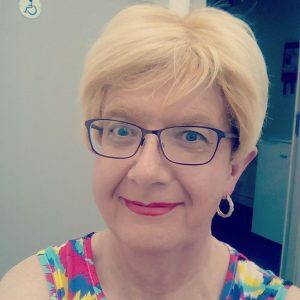 I want to emphasise our computer support will be fun and informal, with lots of time for individual needs (we’ll also be recruiting volunteers to help with the advice and training aspect). In fact, the project can offer ICT advice on any computer-related topic! And all of this is FREE!